This article was published in Literature and Aesthetics, Vol. 20(2), 2010, pp. 74-91. When we think about the emotions, the metaphor of colouring naturally comes to mind. But what does it mean to say that emotion colours our experience of the world? I suggest that there are two ways of understanding this colouring metaphor: emotion can colour our experience by changing how we make sense of an object, and it can also colour our experience by changing the phenomenology of the experience. In On the Emotions, Wollheim provides an account of emotion as an attitude that colours our experience of the world by comprehending an object in light of an earlier experience of the satisfaction or frustration of desire. In Painting as an Art, he offers us an account of expressive perception which involves our experience being coloured by emotion in a different way, one which involves a pleasurable or painful state becoming fused to a perception of the object. That emotion can colour our experience in these two different ways accounts for the different contributions that emotion makes to our practical life and our aesthetic contemplation. I conclude that whether or not one embraces Wollheim’s theory of mind, any satisfactory theory of emotion would have to account for both senses of emotional colouring found in his philosophy. This article was published in the Harvard Review of Philosophy, Vol. 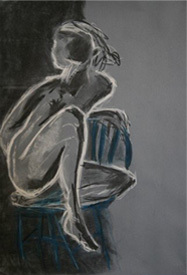 XVII, 2010, pp. 56-75. Despite a long tradition of attempts to analyse aesthetic experience, we lack a compelling account. This paper seeks to provide an account of aesthetic experience in terms of pleasure. Aesthetic experience can be distinguished from other pleasurable experiences because only in aesthetic experience is our capacity for taking pleasure transformed. There is a range of ways in which the capacity for pleasure can be transformed, and the paper discusses some of the different ways in which different aesthetic experiences transform the capacity for pleasure. This article was published in the Journal of Aesthetic Education, Vol. 47, 2013, pp. 36-45. This paper investigates the special way in which a spectator might engage imaginatively with one work of art when the work is experienced in light of other works by the same artist. In particular, the idea that we might imaginatively identify with an unrepresented spectator in the picture after we have experienced other paintings in which the same artist invites us to imaginatively identify with a represented spectator in the picture. The paper suggests that experiencing an artist’s oeuvre in this way might have a broader educational application for our practical lives: learning to experience one painting in light of another might enable us to acquire new imaginative ways of engaging with another agent’s actions in light of our earlier experience of the agent’s actions. This unpublished paper was written as a coursework requirement for the MPhil degree at the University of Sydney. It sketches out Wittgenstein’s famous distinction between ‘showing’ and ‘saying’ in the Tratatus Logico-Philosophicus, before considering Cora Diamond’s interpretation of ‘showing’ in terms of ‘nonsense’ (through the influence of the legacy of Frege and Russell’s logic on Wittgenstein), and Janik & Toulmin’s interpretation of ‘showing’ in terms of ‘ineffability’ (through the influence of the legacy of Kierkegaard and the existentialist tradition on Wittgenstein). It concludes that the remarks about ‘showing’ reveal Wittgenstein to be at once a logician and an existentialist who straddles the boundary between analytic and continental philosophy. The Tractatus, it argues, reflects one man’s attempt to reconcile very different kinds of linguistic experience: ‘showing’ results partly in ineffability, partly in nonsense. This chapter was published in N. Carroll & J. Gibson (eds), Routledge Companion to Philosophy of Literature, (Oxford: Routledge, 2015). We often respond emotionally to fictional characters in films, plays, and novels. But why should we be moved by the plight of Anna Karenina when we know that she does not and never has existed? Usually, our emotions seem to involve our believing in the existence of the object of the emotion, and yet this is not the case when we respond to fiction. This essay provides an overview of the famous paradox of emotional response to fiction and attempts to break the paradox. To download a pdf of the chapter, click here. This review was published in Philosophical Quarterly, Vol. 63, 2013, pp. 405-407. Art is valuable to us both for the insights that we gain about life from it, and for the way that it engages our emotions. Often, it has been thought that it is the fictional nature of much art that is important for the insights and emotional experiences that are unique to art. However, as this book review points out, attention has now moved from ‘fiction’ to ‘narrative’ in contemporary aesthetics. Noël Carroll and John Gibson edit a collection of papers, Narrative, Emotion, and Insight (Pennsylvania State University Press, 2011), that discuss the significance of ‘narrative’ for a number of philosophical issues concerning art. To download a pdf of the book review, click here. Why Put Sculpture by the Sea? This article was published in Look, August 2013 issue, pp. 32-33. Sculpture by the Sea is an institution in Sydney: an annual outdoor exhibition of sculptures along the coastal walk from Bondi Beach to Bronte. This article discusses the importance of engaging with sculptures outdoors, and the way in which they can transform our experience of nature and ourselves. This paper was delivered at the Art Gallery of New South Wales, as part of The American Way of Art series, 29 September, 2013. The music of Charles Ives and the paintings of the abstract expressionists might well be considered to be masterpieces of American art. But what is their American achievement and what is their artistic achievement? This paper considers the significance of cultural tradition and multiculturalism for art-making in America. Does great American art abandon the European cultural tradition in favour of the distinctly American experience of multiculturalism, as can be heard in Ives’s music? Or does it continue to develop the European tradition in a new way, as Mark Rothko maintained that his paintings do?